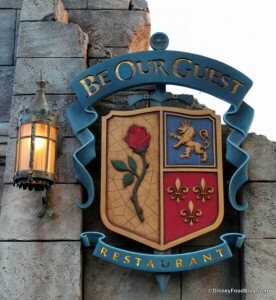 For the past few months Disney has been testing breakfast at Be Our Guest, the very popular restaurant located in Magic Kingdom’s Fantasyland. And just this week Disney announced that breakfast at Be Our Guest is going to be a permanent fixture! Reservations for this meal open today, August 5. You can make reservations using the My Disney Experience app, the Disney Parks website, or by calling 407-WDW-DINE. Dates available start October 4 and extend 180 days out. Breakfast at Be Our Guest is considered a counter service meal on the Disney Dining Plan (one credit) but if you’re paying out-of-pocket you’ll pay $21.99 for breakfast for adults and $13.99 for the kids breakfast choices. The meal is “prix fixe” which means every guest will dine on an entree and beverage along with an assortment of pastries for sharing at the table. We’d love to hear if you were able to make reservations for breakfast at Be Our Guest!